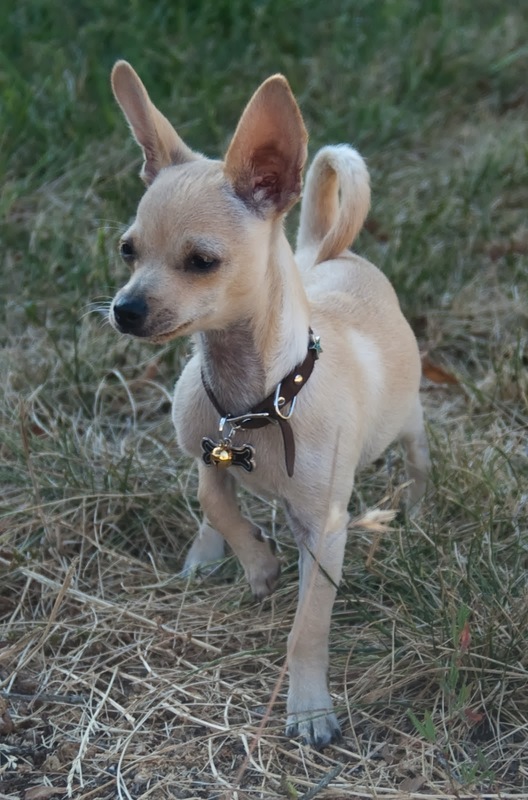 The Dog Geek: One Whole Year! 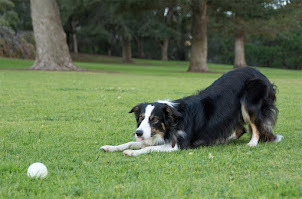 Brisbane's Bark Blog has officially been up and running for one year! That's a whole year of near-daily blogging about my dogs, dog stuff, dog food, dog treats, and dog training. In the last year, Brisbane, Ru, and I have reviewed nearly 150 different products, from puzzle toys to booties to harnesses. We've been lure coursing and taken many, many trips to the dog beach. 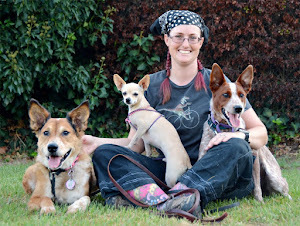 I have fostered six different dogs with varying outcomes, and done a variety of dog-related crafts and projects. So what were we doing this time last year? And how have some of those products held up after all this time? My first product review was for the Chuckit! Ultra Ball. As of last month we were still using that exact same ball, until someone stole it. I had purchased a two-pack and we're now on ball number two. I'm pretty sure these things last forever. Same with our Chuckit! Ball Launcher. 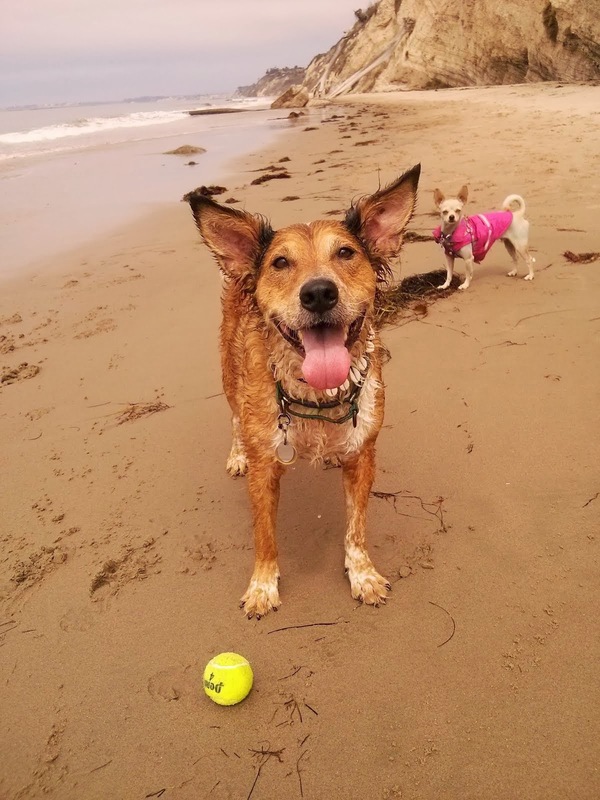 Meanwhile, our Lupine beach gear is gradually getting phased out in favor of non-absorbent alternatives like our Fraggle Rock Harness and Dublin Dog Collar. I've retired a few of our food toys in the last year, while others are still going strong. The Kong Quest toys have been abandoned because I got tired of cleaning them. They didn't keep the dogs busy for very long, either. 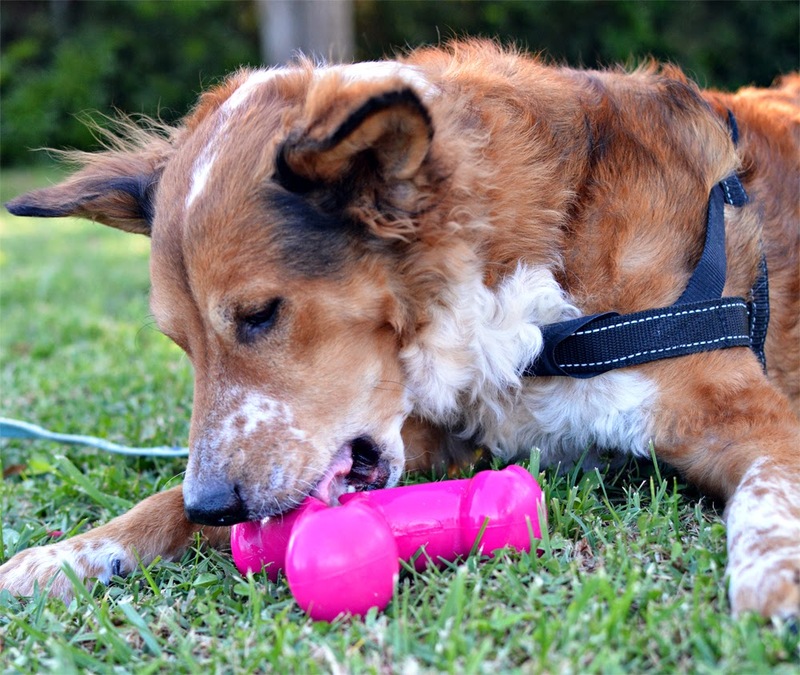 I was surprised to see that Kong expanded the product line, and I can only assume the new animal-shaped toys are for smaller dogs than Brisbane, and busier dogs than Ru. Syd the puppy would probably enjoy them. Our Kong Quest toys went to entertain Xhuuya the Raven for a while, but the enormous task of keeping them clean meant they still didn't get used much. While soaking in a bucket outside one night, the Starpod was stolen by raccoons. We were all thinking it was gone for good, and then several weeks later they brought it back. In the last year, Brisbane has developed a little bit of arthritis in his hips. This has led me to change the way I fit harnesses on him. I've learned that harnesses that cross over the upper arm can cause the dog to carry less weight on their front end. This resulted in Brisbane being noticeably unhappy in his ComfortFlex and Rolled Leather harnesses. I've stopped using Norway-style harnesses on Brisbane, and switched to highly-adjustable ones like the Premier Sure-Fit. 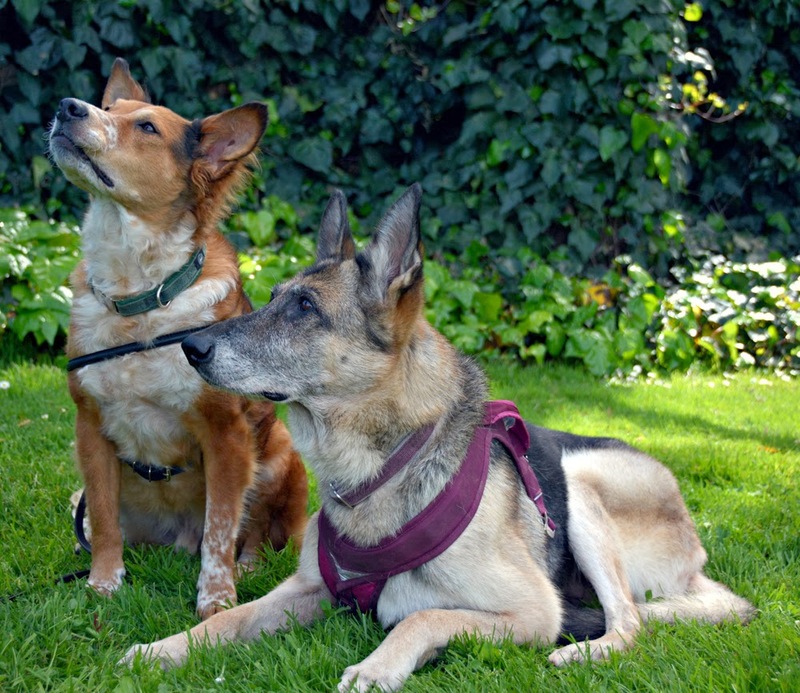 Josie the German Shepherd was my hospice dog when I started this blog last year. She was here to get spoiled and loved at the end of her life. Josie went to work at doggy daycare with me every day and enjoyed playing with her many friends, despite her advanced age and spinal degeneration. I love when old dogs play. Ulysses was with us off and on for nine months, during which he learned how to be a proper dog. 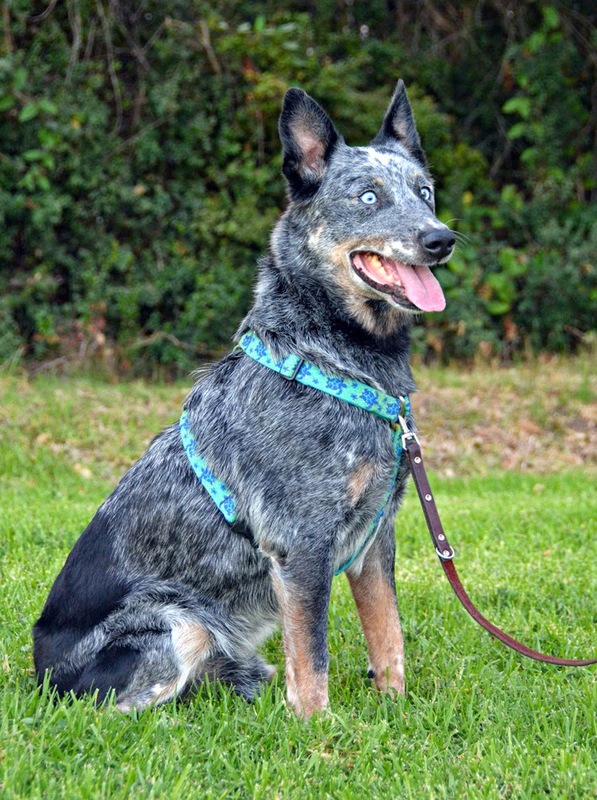 We're not sure what exactly happened to him before he landed in the Orange County Animal Shelter as a stray. We do know that he did not have acquired bite inhibition, and this combined with his behavioral problems made him dangerous. Uly was released from his demons in January. Darla and Hellin were here for a few weeks. Their primary foster mom has a somewhat rural property, and I've been helping to socialize her rescue pups with cats and tiny dogs. While they were here, Darla and Hellin were exposed to traffic, hardwood floors, and doggy daycare. Hellin has since been adopted locally, and Darla is back with primary foster mom while I work with her sisters. Xena is an odd little puppy, and still looking for the right home. Living in the middle of town with me was pretty stressful for her, and we're thinking that she needs to be placed with someone further from the center of town. She is currently back with primary foster mom. Syd is currently napping on my couch. We met a wonderful woman who wants to adopt her, and will be visiting the home and meeting the cats tomorrow. Syd and her sisters are now seven months old and seem to be topping out at 30 pounds or less. The original breed guess of "pit bull + German Wirehaired Pointer" fits less and less, and I'm beginning to suspect they are actually schnauzer mixes. They're all very low-effort, low-drive, easy puppies. I have lots of plans for the next year, and some of them even involve this blog! Brisbane and I have finally begun sheep herding lessons again, and hope to enter a competition at the end of April. He is registered with the AKC, and I'm also hoping to do some official lure coursing events so he can finally earn some freaking titles. 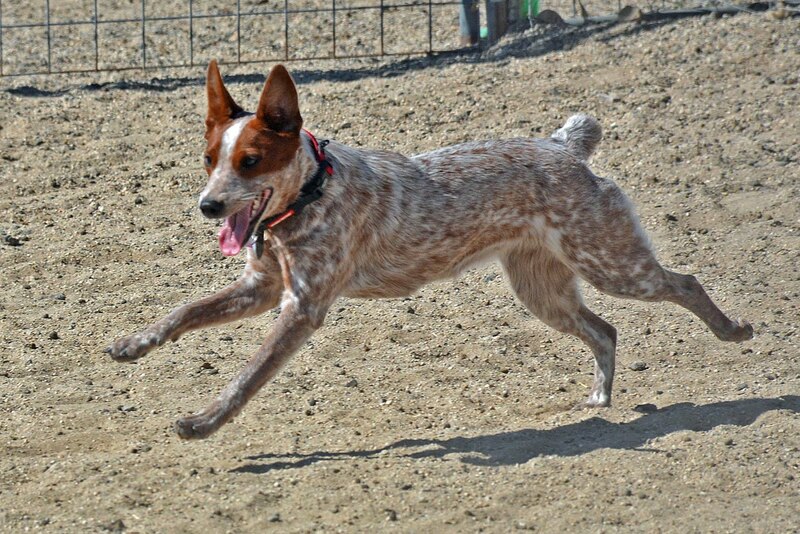 We may also begin a rally class in the spring because I miss doing competitive obedience in a weird sort of way. Brisbane's Bark Blog will continue to bring you product reviews, food spotlights, and tasty treats. 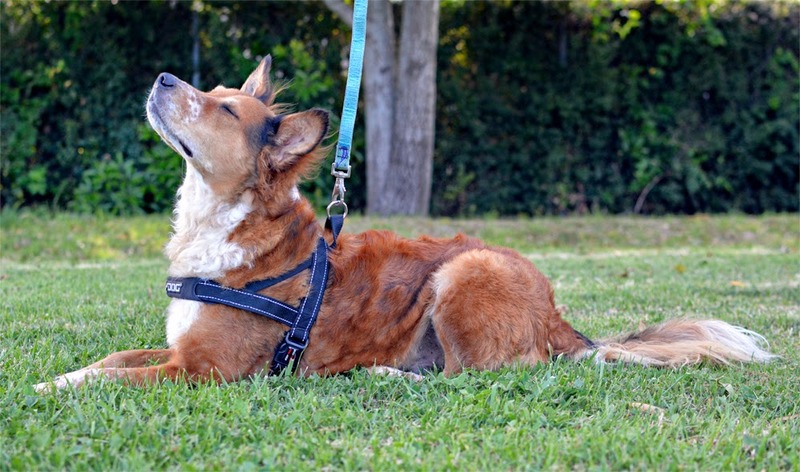 I have a bunch of new stuff to share, including Brisbane's new Sleepypod Clickit harness, a Dr. Chris Zink-approved Balance Harness, and some stuff we're trying out to toughen up Brisbane's delicate feetsies. I'm hoping to start doing video blogs one of these days, and will continue to update the Dog Food Wizard as quickly as possible. Stay tuned! Happy blogiversary to the Brisbane's Bark Blog crew! I have really enjoyed, your blog, and it is definitely among my favorites! OOOh, I like this word! Good one, D_O! Oh... Well, either way, good one!